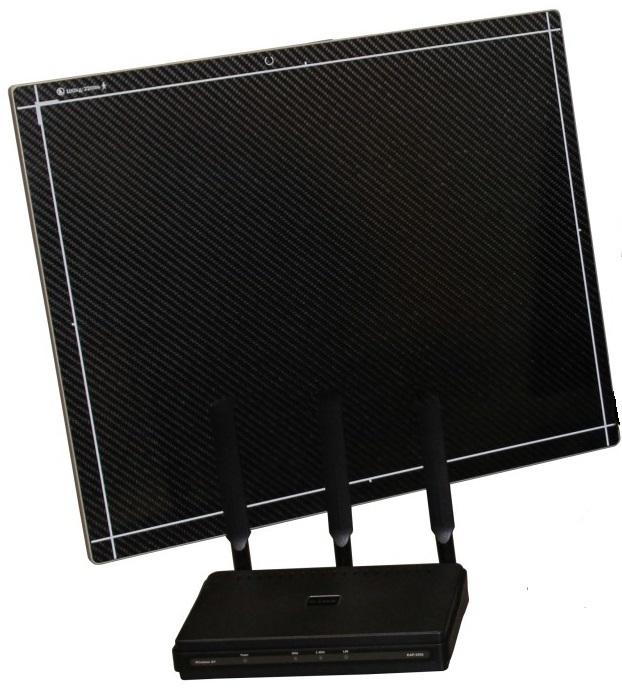 PaxScan 4336Wv4 wireless DR systems are rugged, reliable ﬂat panel detectors designed to retrofit your existing x-ray system. 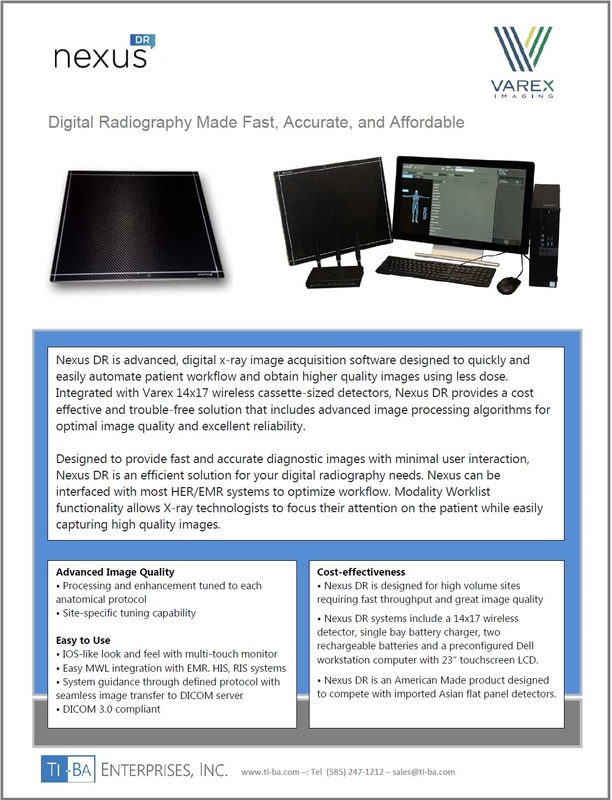 Built on the rock-solid Paxscan line of detectors being private-labeled by major OEMs like Siemens, Philips and many others, Nexus systems employ a software interface by the same name that is developed and supported by Varex Imaging. Nexus detectors are available in both Gadox and Cesium. The 4336Wv4 detector ﬁts in standard 14×17” Bucky trays and its wireless communication enables easy migration between table, above the table, chest stand, and mobile cart applications. The panel works on peer-to-peer connections for use with laptops and tablets or with an Access Point for workstation installations. Nexus will interface with your HIS/RIS/EMR to pull Modality Worklist (MWL) and entering your Procedure Codes in to the program is very simple.